Killer Characters: Was it a firecracker? Or a gun? Was it a firecracker? Or a gun? 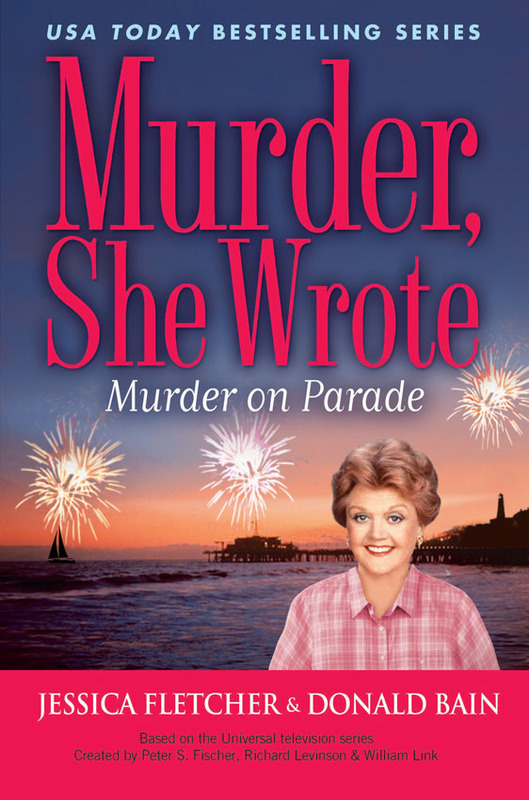 Just in time for the upcoming July 4th, here's an excerpt from "Murder, She Wrote" Murder on Parade. Following my hometown's festivities and a picnic shared with friends, I decided a little exercise was in order. Joining me were former Cabot Cove Sheriff Amos Tupper, back for a visit, and Rick Allcott, an FBI officer, now retired, whom I had met several years ago at a crime conference. We left the parking lot and strolled back to where we’d witnessed the concert and fireworks. I spotted Mort Metzger issuing orders to some of his uniformed officers, and we went to him. “Quite a show, huh?” Mort said after dismissing his men. “What are you folks still doing here?” our sheriff asked. “Walking off fried chicken,” I said. 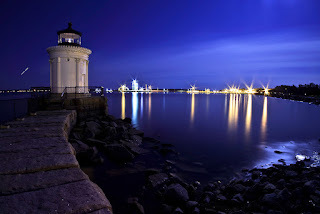 Rick Allcott, Amos Tupper and I walked down to the water’s edge and strolled along, away from the Lennon-Diversified building. 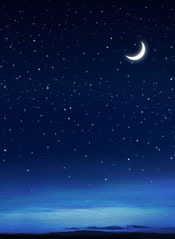 Light from a waning crescent moon danced off ripples in the water. Because we were outside town and its downtown lights, the sky was especially clear, millions of stars shining against an almost black scrim. “Miss being sheriff here?” Rick asked Amos. 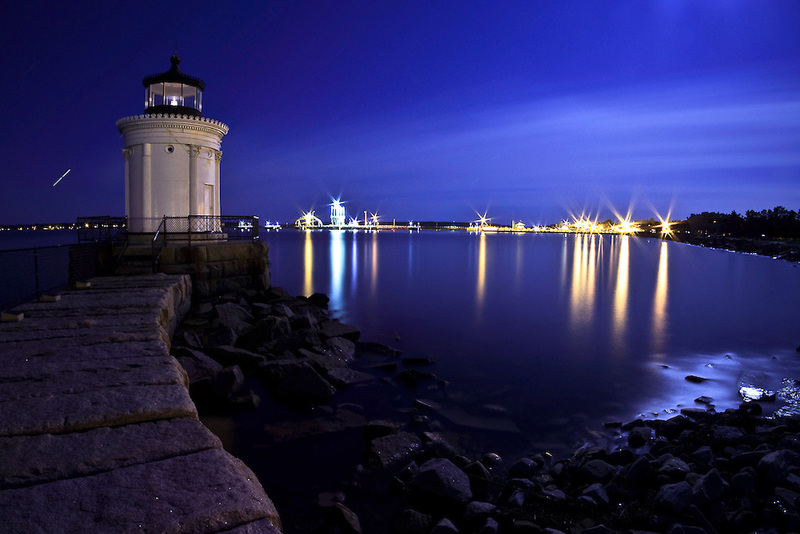 “Once in a while,” said our former top law enforcement official, “but I sure do miss the people in Cabot Cove. Finest bunch of people I’ve ever known." I estimate that we’d gone almost half a mile before Amos suggested we turn back. Now, we were walking toward the Lennon-Diversified building, whose marble façade caught the moonlight, giving it an ethereal aura, like some religious temple in another part of the world, or an imposing marble government building in Washington, D.C., home of many such edifices. As we started up the gentle hill toward the lot where Amos and Rick had parked, we heard the sound of sirens. “Some fool must’a had too much to drink and wrapped himself around a pole,” Amos offered. “Or around someone else’s car,” Rick said. The sound came closer, two sirens now. We were within a hundred feet of Rick’s car when flashing lights came into view. A few seconds later, their source became evident as two marked cars raced down into the lot from the road. One was Mort Metzger’s sheriff’s vehicle. 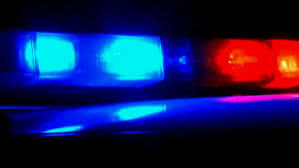 They came to a halt a dozen feet away, and Mort and three deputies exited. “Got a report of a body down behind Lennon’s building,” Mort said. “We were just down near there,” I said. Mort led his men down the hill. We didn’t make a conscious decision to follow them. Amos, Rick and I simply fell in line, our reflexes on auto-pilot. We saw the men disappear around the rear of the office building where exterior lights had come to life, bathing the sweeping veranda, promenade and dock in harsh, white light. Two people stood together on the dock as Mort and his officers narrowed the distance between them. We stopped a respectful distance away, but close enough to hear what was said. I recognized one of the men awaiting the sheriff’s arrival by his uniform, a Lennon-Diversified security guard. “Where?” Mort asked in a loud voice. “Down there,” the guard replied. Flashlights were trained on the object of their focus, and we strained to see what it was. “Is he dead, Sheriff?” Amos asked. 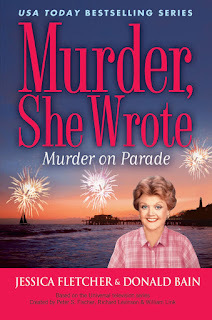 Murder on Parade is number 29 in the "Murder, She Wrote" series. All the books in the series are original mysteries and not based on any of the TV episodes. 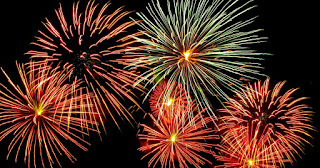 We gather with friends every year to have potluck dinner and watch the July 4th fireworks together. How do you spend your Independence Day? My family and I watch firework celebrations on television (no mosquitos). We admit to needing the bug spray but the companionship is worth it. Thanks for stopping by, Jen. My family will get together. Any excuse to gather with family is welcome. Have a great day with yours, Debby. Good friends, a parade, a picnic, a concert in the bandstand, fireworks . . . Sounds like the perfect Independence Day, Willow. Enjoy! We usually cookout and watch fireworks. Can't wait to read this one! 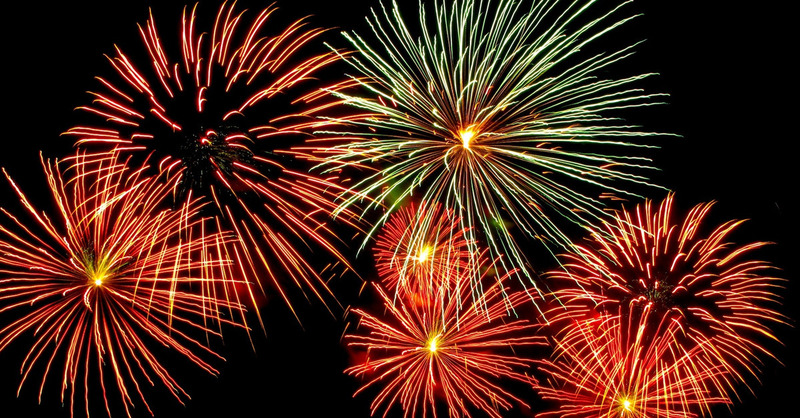 We can see the city's fireworks from our driveway where all the neighbors gather and share desserts. Happy Fourth, Dee. I read this mystery last year just before the 4th of July and LOVED IT. I always appreciate the holiday theme mysteries and since I really enjoy Summer reading it was perfect. You always craft a wonderful mystery and KILLER IN THE KITCHEN is currently in my pile to be read. I can't wait. Thanks, Margaret! What a nice compliment. We're running out of holidays, but there may be one or two we haven't covered yet. I spend the 4th of July at home comforting my cat so he doesn't get spooked. I don't participate in the festivities myself, but wouldn't mind reading about a 4th of July murder mystery. I LOVE the Murder She Wrote mysteries!! Animals are very sensitive to the fireworks, Laurie, so that's a lovely thing to do. We actually adopted a dog that had run away from fireworks. The owner was never found, but we got a great dog. July 4th was a tough day for her, however.